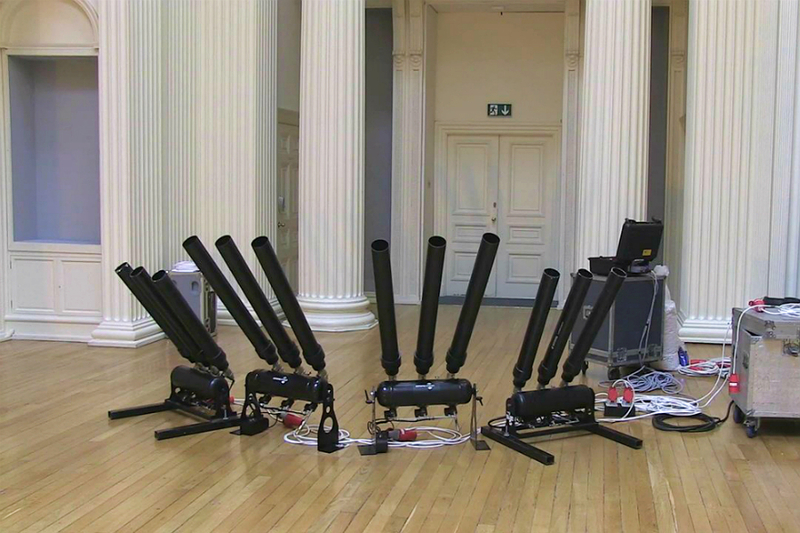 There are four confetti cannons installed at the Talbot Rice Gallery, Edinburgh, hooked up to a firing mechanism with the word ‘Yes’ written on it. The work of Ellie Harrison, the artist is hoping that there’ll be plenty of cleaning up to do in the gallery the day after Scotland’s independence referendum on 18 September – and that most of the country will have put a cross against ‘Yes’ when it votes. Only if they do will the cannons be fired. Scotland’s visual artists haven’t been especially vocal about which way they’ll be voting in this historic referendum – at least not publicly. While many others in the arts – in particular writers and those involved in theatre – have been openly debating the decision, the visual arts has been a little reticent in comparison. As if to amplify this point, a recent referendum debate in Glasgow organised by the Scottish Artists Union (SAU) featured a four-strong panel with no visual artists on it. Scotland’s First Minister Alex Salmond and UK Prime Minister David Cameron signed the Edinburgh Agreement on 15 October 2012, paving the way for a vote on Scottish independence. It’s something that happened a few days earlier, however, that Nicoll cites as a key moment in her journey towards a Yes vote – namely, the Scottish arts community’s revolt against Creative Scotland, expressed in a damning open letter that called for a total rethink of the Scottish arts funding body’s approach. “I think the whole Creative Scotland stooshie really galvanized artists in Scotland,” she says. “They couldn’t really ignore what was happening.” Nicoll believes the campaign to reform Creative Scotland, the eventual resignation of its then chief executive Andrew Dixon, and the period of ‘open sessions’ and consultation with artists that followed, has played its part in making Yes the preferred choice of many Scottish artists. Not, she stresses, because of a rise in nationalist sentiment, but rather because it rekindled a belief in the power of discussion, debate and ultimately democracy to deliver change in a small country like Scotland. Nicoll has been playing a direct part in that democracy through her involvement with a Scottish Parliament cross-party group on culture, an experience that has helped convince her that cutting Westminster out of the equation and gaining full independence is the only way to get a truly representative democracy in Scotland. “It’s a gamble, yes, but voting No and continuing to go cap in hand to Westminster is more of a gamble than independence,” she says. The artist Ross Sinclair shares Nicoll’s antipathy to Westminster, including her desire for change and belief that a Yes vote is the way to achieve this. As someone who for the last 25 years has explored ideas around Scottish national identity and culture, he’s hardly new to the politics of independence. Yet he too has found himself galvanized by the idea in the last few years, particularly as he’s watched the increasing lurch to the right in mainstream UK politics. Sinclair studied on the Enviromental Art course at Glasgow School of Art, graduating in 1990. As part of Generation – the Scotland-wide celebration of the last 25 years of Scottish art – he has remade his 1996 piece, Real Life, Rocky Mountain, at the Scottish Gallery of Modern Art. Restaging the work, which in part involves singing Scottish folk songs while sitting on a fabricated Highland mountain landscape surround by stuffed wild animals, has brought into focus how much has changed in Scotland in the intervening years. Sinclair’s vision of an independent Scotland is one that has no time for narrow ideas of nationalism. He sees the international success of many of the country’s visual artists over the last 20 years as an example of how culture and the arts has influenced politics, rather than the other way round. 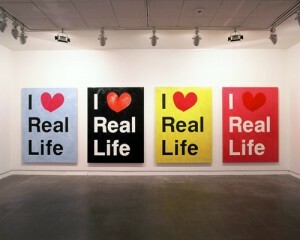 “In my imagination, artists have really been at the vanguard of the changes that are being made possible in Scotland. In the last 20 years, and particularly in the visual arts because that’s what I’m closest to, I’ve seen the demographic change completely in Scotland and particularly in Glasgow. Clearly, whatever the outcome of the independence referendum, Scotland is a changed place compared to even ten years ago – anyone watching the Commonwealth Games in Glasgow, seeing Scottish athletes singing Flower of Scotland and, perhaps even more significantly, Scottish sports fans also cheering the success of English athletes, can surely see that. The confidence of Scotland’s artists is increasingly reflected across the rest of society – and discussion of what it means to be Scottish, British or both has been given a new and soberingly real context. 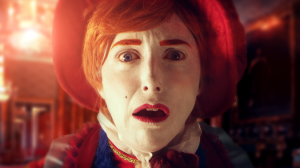 It’s a reality that has certainly played its part in the work of Glasgow-based artist Rachel Maclean, who grew up in the small town of Dollar, Clackmannanshire, before going to university in Edinburgh. While Maclean’s work dives headfirst into the cultural, social and economic history of the UK from the days of empire to the present – her 2014 show at the Centre for Contemporary Arts (CCA), Glasgow was titled Happy & Glorious and offered a darkly comic excavation of national identity – she’s reticent about saying which way she’ll be voting in the referendum. Great art, of course, is rarely about black and white, yes and no – it doesn’t sit easily in the world of political argument and counter argument that characterises much of the mainstream debate around Scottish independence. But whether they’re willing to say which way they’ll vote or not, what comes through strongly from talking to artists in Scotland is a sense of a very different conversation to the one being served up in TV debates and most of the media. Crucially, it’s a conversation that sees the idea of an independent Scotland as a possibility for a different kind of society rather than an end in itself. Perhaps unsurprisingly given art’s lack of respect for political and national boundaries, it’s less about borders and flag waving and more about a space to imagine new ways of doing things. Oil reserves and keeping the pound don’t really figure much in this discussion. Dumfries-based public artist Matt Baker, who is also part of the town’s artist-run Stove Network, is voting Yes but is well prepared for the reality of a No vote – particularly as he lives in an area that returned the Conservatives’ sole Westminster seat in the 2010 General Election, courtesy of David Gordon Mundell, MP for Dumfriesshire, Clydesdale and Tweeddale. Those bright-eyed people are often not aligned to a particular party, although some can be found in pro-independence organisations such as the National Collective (‘artists and creatives for Scottish independence) or involved in Common Weal (which recently gained its own independence when it split from The Reid Foundation). Baker, meanwhile, is both practically and philosophically involved with the debate, through Stove and his own work. “I work very much in a discursive, negotiated way with place and inevitably the conversation around the referendum and how we organise ourselves has gone into the essence of the work I make,” he says. Stove, meanwhile, has been developing a kind of Dumfries-specific, arts-focused idea of independence since 2011 when it took over from the local council in delivering arts policy and provision for the town. “In the last few years, artists have led a quiet revolution,” says Baker. It’s on the international stage, however, that perhaps the most visible and widely recognised revolution has taken place with regards to Scotland and the visual arts. 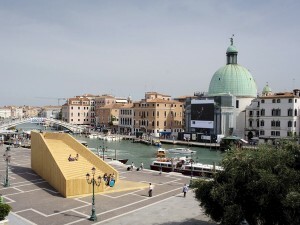 Aside from the individual success of high-profile artists such as Douglas Gordon, Martin Boyce, Susan Philipsz, Cathy Wilkes, David Shrigley, Jim Lambie – the list goes on – a key signifier of the country’s growing confidence and the role of the arts within this has been the Scottish Pavilion at the Venice Biennale. Along with Kay Pallister, Francis McKee was curator of Zenomap, the very first Scotland & Venice show in 2003 featuring Lambie, Starling and Claire Barclay in its core exhibition. And although he won’t be drawn on which way he’ll be voting, McKee, director of the Centre for Contemporary Arts in Glasgow, feels that whatever the outcome of the referendum, things really won’t change that much in Venice. No-one, of course, can really know what either a Yes or No vote will ultimately mean for Scotland and its artists, and there is a healthy dose of realism, of taking the rough with the smooth, among all this future gazing. “I guess I’m cynical and optimistic at the same time,” is how Harrison puts it. Sinclair, meanwhile, recognizes that the consequences of independence could have a profound effect not only on the country, but also on his own work as an artist. Put another way, to borrow from Harrison and her will-they-won’t-they confetti cannons, whichever way this Scottish revolution goes, one thing is sure: there will be plenty of ‘mess’ to clean up, plenty of work still to be done.